Whaaaat?! 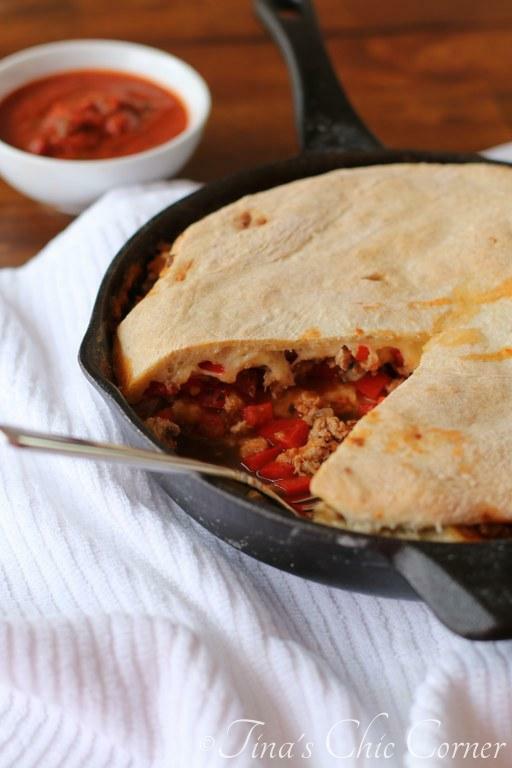 Calzone in a skillet? That was my reaction when I saw this recipe in a magazine. Of course I needed to try it as soon as possible. 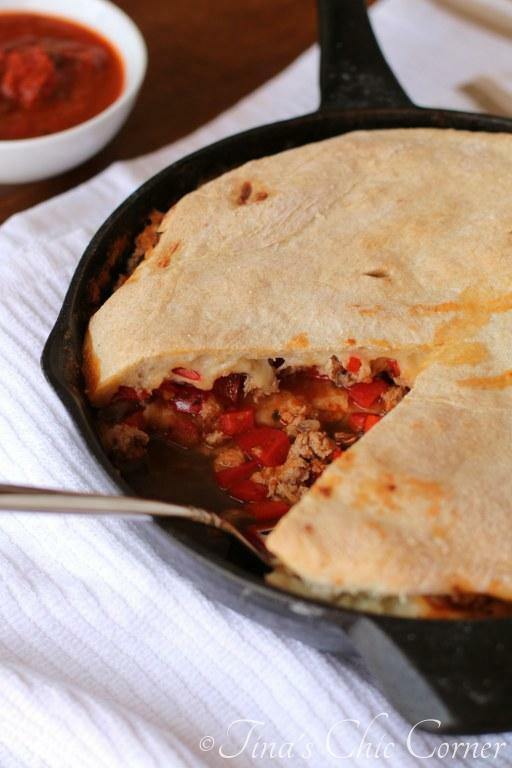 It’s basically like my Pizza Skillet, except you add a layer of pizza dough on top of the whole shebang and fill it to the brim with stuff first. 1. My husband is awesome. (Well, I already knew that, but I wanted to recognize his awesomeness.) I had asked him to make the pizza dough and I was going to take it from there. Instead, he pretty much did everything. 2. It’s okay if the top crust doesn’t meet the bottom crust on the sides, like you’d see in a typical calzone. I was expecting there to be a nice crimped crust. When I peaked into the oven to see that that was not the case I was about to write off the calzone. When did I become such a visual food elitist? I suppose it’s an occupational hazard of a food blogger. Tsk-tsk. My husband told me something to the effect of “You need to take pictures of this and post it because I’m not making it again for a half an inch of dough.” In other words, I should stop being silly. He said he’d happily make it again for dinner someday in the future, but that the crust probably wouldn’t meet up on that one either. 4. The calzone filling can be anything. We used ground turkey, mozzarella, mushrooms, and red peppers here because that’s what the original recipe called for (and because it sounded delicious). However, just like an ordinary calzone, you can use any other ingredients that you prefer. In fact, while we were munching on this tasty beast I was already thinking of ways to make it a vegetarian delight. * My Pizza Dough recipe makes about 1 and 1/2 pounds so if you use that recipe then you will have a little extra dough left over. I’m sure you’ll be creative with how to use the leftovers. I requested my husband make it into a little cheese pizza, he obliged. 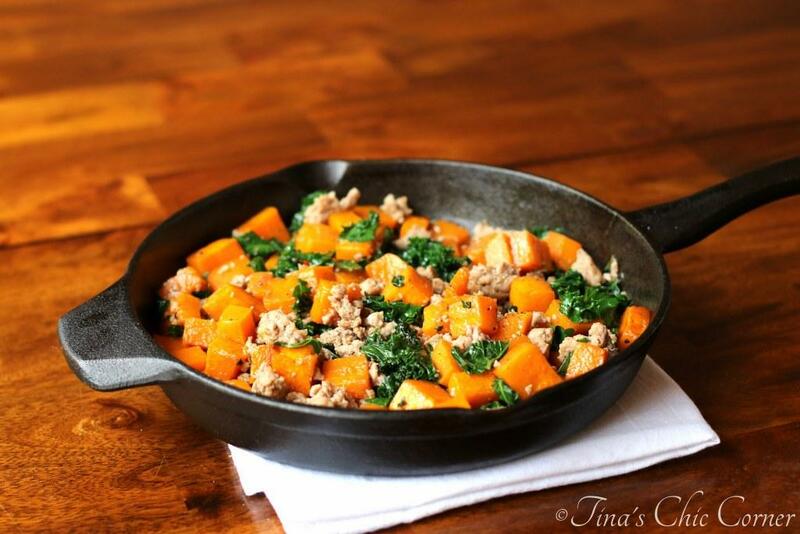 If there is any liquid from the fat of the meat (especially if you are using ground beef), drain the fat. Move the meat mixture to a bowl. Stir the sliced mushrooms, chopped bell pepper, oregano, and crushed red pepper into the meat mixture the and then set it aside. On a lightly floured surface, divide the pizza dough in half. Roll one dough portion into a 12 inch circle. Press the dough circle into the bottom of a 9 and 1/2 to 10 inch oven-safe skillet (and up the sides of the skillet… if you can). The dough can fight you a lot as it attempts to return to its original shape so if you can’t get it up the sides then don’t worry about it. Spread the marinara sauce evenly over the bottom dough. Add in the meat mixture on top of the sauce. Add the shredded cheese on top of the meat mixture. Roll the remaining dough portion into a 11 inch circle. Place the dough circle over the filling. If you were able to get the dough up the sides of the skillet, then pinch the edges of the bottom crust and top crust together to seal. Otherwise, simply lay the circle of dough on top of your mixture and it will be just as glorious. Using the tip of a sharp knife, cut slits in the top crust. 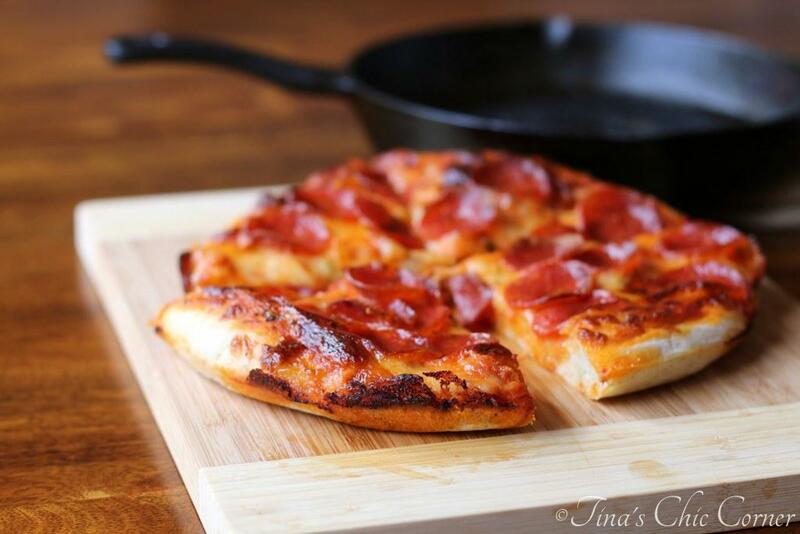 Place the skillet on top of a baking sheet. Bake for about 25-30 minutes or until the crust is golden brown and the filling is bubbly. Let it stand for about 5 minutes and then cut into wedges to serve. 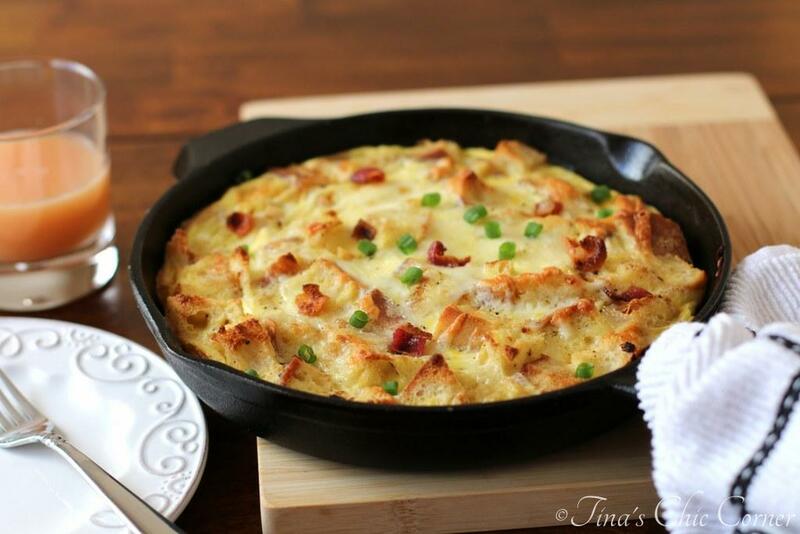 Here are some other fab skillet recipes. Visual food elitist – that made me crack up! I totally understand! I love a good calzone but in the skillet??? How fun!